Who wants to win this charming little heart necklace? 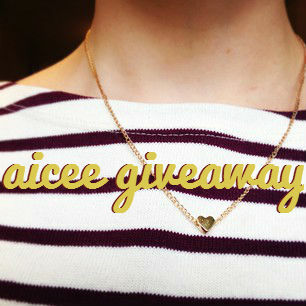 It's from the lovely people over at Aicee Jewelry and it's up for grabs! Scroll down to find out how to win! All you have to do is tweet about it and use the Rafflecopter thingy below, so we know you did!